As the year comes to a close, it’s time for countries to take stock of official and not-so-official numbers. 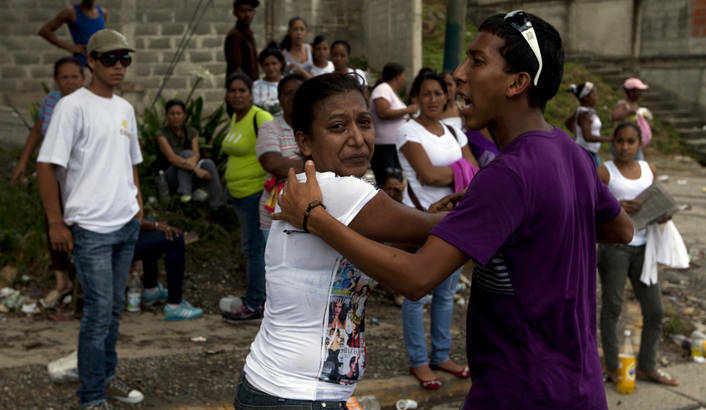 One figure that has raised a lot of eyebrows is Venezuela’s murder rate. According to NGO Observatorio Venezolano de Violencia, more than 24 thousand Venezuelans were murdered in 2013. This comes out to 79 people per 100.000, making our country the third most deadly in the world. On the heels of a much publicized plan called “Patria Segura,” this is nothing but a resounding failure for the government. In a normal country, the wave of violence alone would be cause for impeachment – from the President, all the way down to the Supreme Court in charge of handing out “justice.” But these are deaths without guilt – according to chavista talking points nobody is responsible, it’s a worldwide trend, and … let’ talk about faulty poverty statistics instead! This reality also serves as an indictment of the policy of not revealing actual statistics, or lying about them. The government thinks opacity will make the problem go away or alow them to control the message, but all it does is give credibility to NGOs and other civic actors. This year, expect the same thing to happen to inflation numbers – from now on, it’s likely that local economists will be the ones publishing reliable inflation numbers, just like in Argentina. At any rate, spare a thought for those 25 thousand Venezuelans who lost their lives. They will never again see the light of day – but the revolution responsible for their deaths is alive and well.